Years ago, when I lived in Tokyo (the one in Japan not the one in Los Angeles), a friend and I bought tickets for a charity event to tour the ten most beautiful private gardens in the city. The thought of being up close and personal in such loveliness had us in a high state of anticipation for days. We learned our excitement was justified. As our tour bus filled with eager garden explorers pulled up in front of the house featuring garden number 1, we (Americans) were surprised to see the tools used to create the garden sitting nonchalantly by the front door. Here was a rake and there a shovel. A wheelbarrow filled with gardening paraphernalia–including straw hats and garden gloves— blocked part of the path to the door. How could this be? Clutter where the crowd could view it? It didn’t seem possible in such a pristine setting. We were told by the guide to ignore what we were looking at…for you couldn’t see it from the garden and, in Japan, what you don’t see doesn’t exist. Or at least doesn’t disturb.Now that’s a philosophy I can co-exist with! (I think we call it ‘out of sight, out of mind’ in the States). We entered the house and went into the garden where we were immediately seduced by the beauty and peace. Nary a thought about shovels or rakes or wheelbarrows entered our minds. The loveliness banished all thoughts but the glories of that with which God had chosen to favor the earth. Lesson learned. How does this relate to writing, you may be wondering? Simple. It is a reminder that everything is information—knowledge from research, study, instruction— for that moment our fingers hit the keys of our computers. Or stroke our pencils over paper. Something interesting, bizarre, beautiful, funny, tragic, or goofy happen to you? Write it in a notebook, on your receipt from Chic-fil-A, or the palm of your hands—anywhere that can be put away and pulled out for “color” at a later time. (I know, I know, lots of luck filing the palm of your hand for a later date.) Information is gold. It is the basis of everything we write and we can’t get too much of it. Obviously, as we live, we learn. We need to make the most of that in our writing. So, I tucked away the vision of the cluttered courtyard for a later date. And decades later it came in handy. 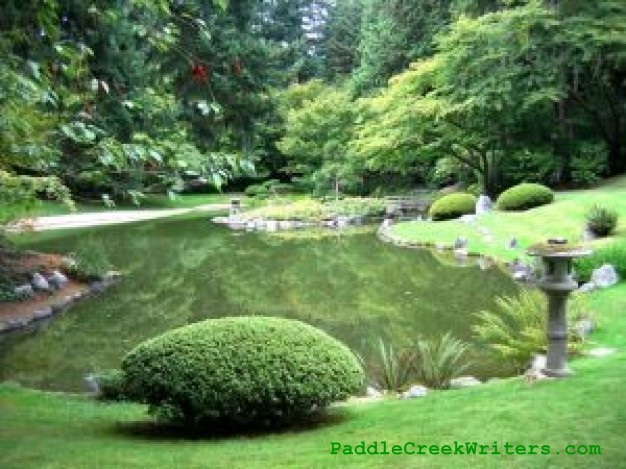 This entry was posted in daily life, Writing and tagged focused writing, paddlecreekwriters, writing tips by PaddleCreekWriters. Bookmark the permalink.